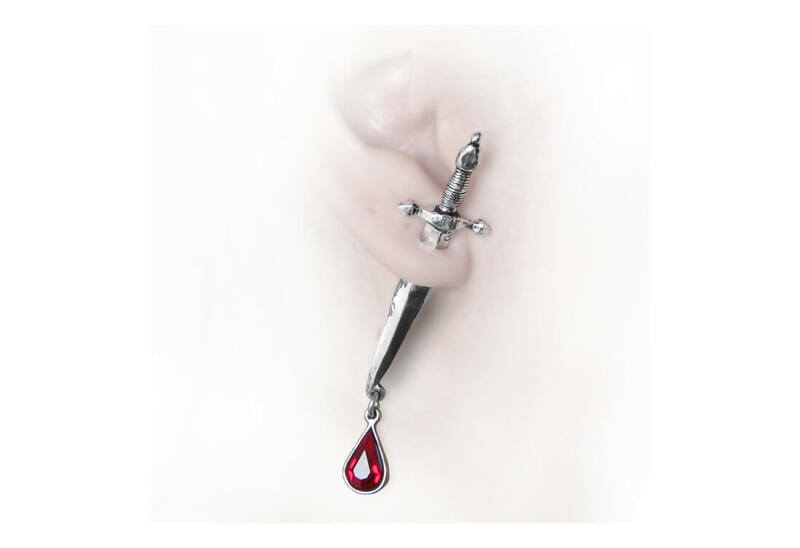 Dagger piercing through the ear love with a droplet of blood at the tip. 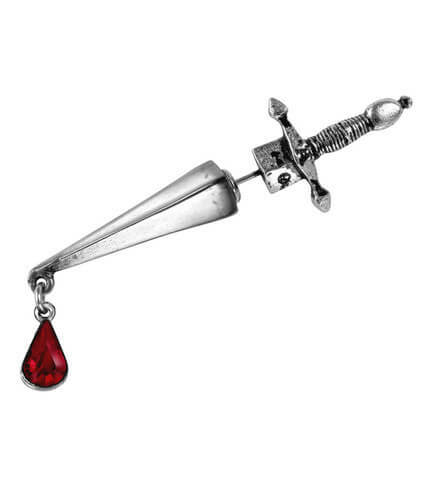 Made of fine English pewter with red Swarovski crystal and steel posts. 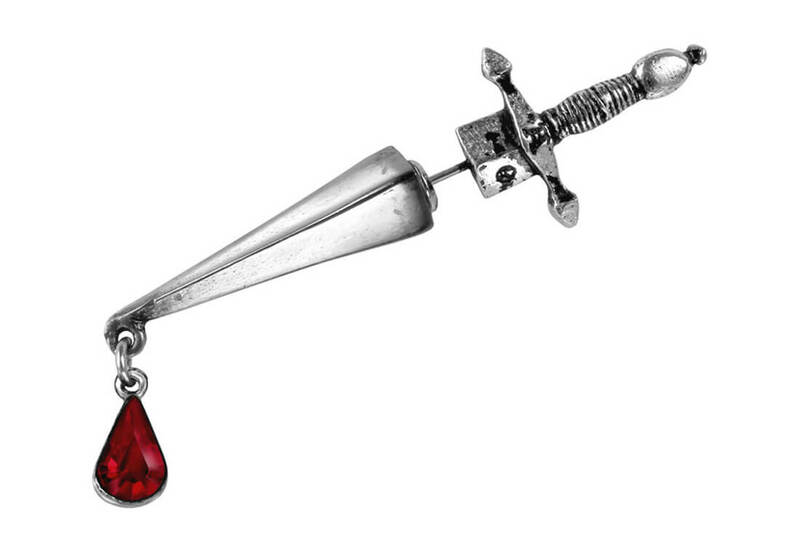 Imported from the UK.